I have started working on a project with lots of load & performance testing, which I really enjoy setting up and executing. However one of the tasks is L&P on a new implementation of Oracle ADF WebCenter, which turned out to be somewhat of a headache. The tools I use for L&P are typically Apache JMeter, Fiddler2, BadBoy and possibly The Grinder, JCrawler or LoadUI. For the testing of the Oracle WebCenter I picked JMeter. The site under test is an intranet with a sizeable community using it. Especially start of day has a tendency to give some heavy hits on the most dynamic pages of the site, so these pages were my focus area. Unfortunately these pages are all behind a login. This login is generally, since the majority of these users use IE, done via Single Sign On where WebCenter verifies the user based on the Windows credentials and grants access based on that. Going through the SSO login is not possible with JMeter, first of all since JMeter is not a browser, it merely acts to a certain extend as a browser and secondly JMeter has no access to my Windows username, at least not as far as I know. So I got served a login page. Usually getting past a login page with JMeter is fairly easy, the login page I received however didn’t like my passing a username and password in the post call via HTTP (intranet, so no SSL used obviously, cause the intranet is “safe”, right?). Oh well, let’s google how to get through to the WebCenter main pages. It’s Oracle so someone is bound to have written something sensible about it! 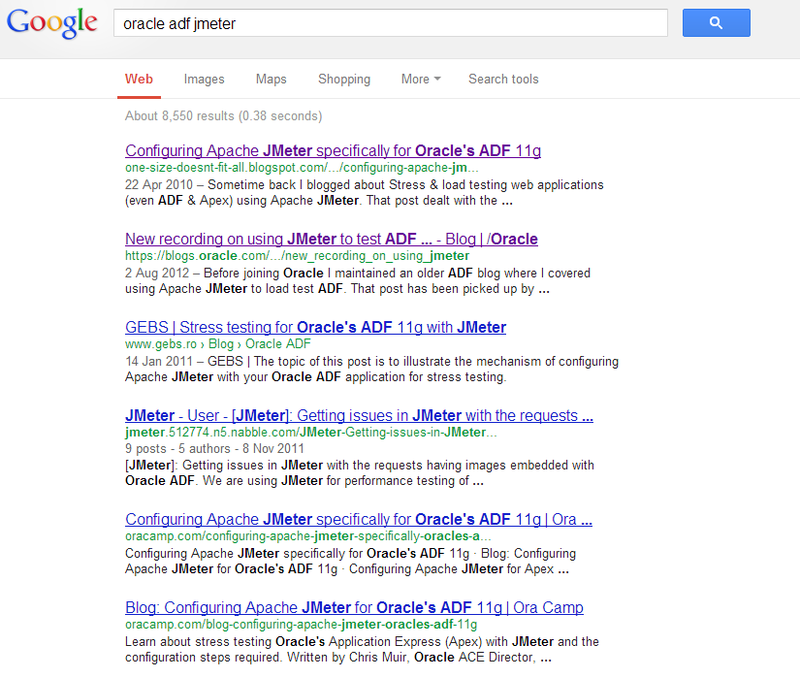 Googling the terms “Oracle ADF Jmeter” gave me some nice hits. Titles such as “Configuring Apache JMeter specifically for Oracle’s ADF 11g” or even better, a post on the Oracle Blogs “New recordings on using JMeter to test ADF applications” including links to a demo video. Sometime back I blogged about Stress & load testing web applications (even ADF & Apex) using Apache JMeter. That post dealt with the generic setup of recording a web session and then replaying under load via JMeter. In the demo video a bit of a delusional idea of recording and then playing back the Load test “… is a free tool for essentially recording any HTTP session … and then you can replay it …” (this is in the beginning seconds of the demo, so no need to watch the entire thing. Why do I highlight these two things so much? In order to answer this I want to first of all thank Chris Muir for his efforts both on his personal blog and on the Oracle blogs to show that JMeter can be used with the fuzzy logic that is the login of Oracle ADF. However I strongly disagree with the approach of recording and playing things back, especially with an application containing a lot of ” fuzzy configuration you must get exactly right otherwise ADF gets confused by the messed up HTTP requests it receives from JMeter” as Chris states himself. Since there is so much fuzziness, to stick to his terms, going on in ADF, it is a lot more sensible to try an understand what it is ADF is looking for. In order to do this one should not record and playback. When recording and playing something back you rely on the “magic” of software. You are not sure what you’re doing, let alone that you can make any clear assumption on what has been “tested” if anything at all for that matter. So, how do you go about learning how the ADF platform works without having developer access to the beast? You start dissecting it bit by bit. This is why I love doing load & performance testing, it is like solving a puzzle. Firebug gave me the URL’s I needed, so I started to get an understanding of the calls being made, but it didn’t provide me sufficient input yet for getting through the full login flow. In order to get on with this I needed to go a bit deeper, I needed Fiddler. Fiddler is a Web Debugging Proxy which logs all HTTP(S) traffic between your computer and the Internet. Fiddler allows you to inspect traffic, set breakpoints, and “fiddle” with incoming or outgoing data. Fiddler includes a powerful event-based scripting subsystem, and can be extended using any .NET language.Fiddler is freeware and can debug traffic from virtually any application that supports a proxy, including Internet Explorer, Google Chrome, Apple Safari, Mozilla Firefox, Opera, and thousands more. You can also debug traffic from popular devices like Windows Phone, iPod/iPad, and others. Passing all traffic through Fiddler, with a filter on the specific domain I was working on made things even more insightful than they had been with Firebug. I all of a sudden noticed the HTTP headers being passed around in my browser differing from the ones in JMeter, so I adjusted JMeter to pass all the same information. The header manager now contains something like the example shown here. Where one of the most important things to add is the referer. Get this part right and the rest of building your load test for Oracle ADF is going to be a lot easier. As stated before, the Oracle ADF stuff is not intuitive, getting the HTTP headers right however will help a lot in getting on the right path to logging in. 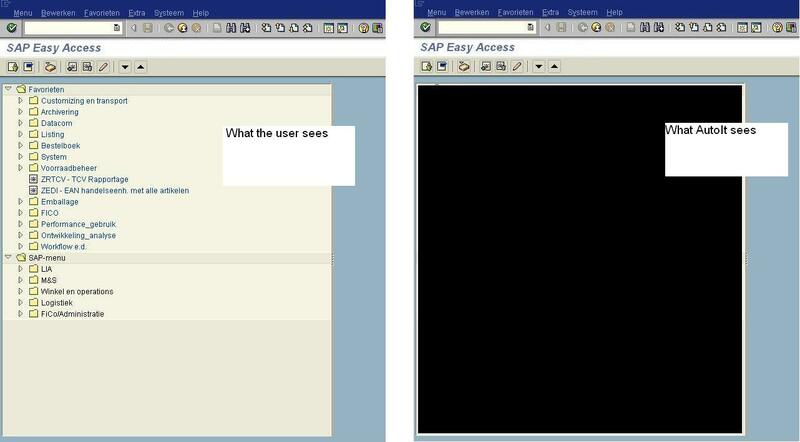 Besides the headers some more information is, or at least can be, required to get through the login flow. For our configuration I’ve had to deal with a total of 13 redirects which had to be rebuilt from scratch, during the first batch of redirects all kinds of information is gathered about the user session and the state of the user in a set of variables which are needed to be passed on, so be ready to add some nice RegExp extractors to URL’s here and there. These redirects should be executed by JMeter as a next step, not by Follow Redirects. So please make sure you have that switched off. If you do not do this you will get in a state where ADF says the user session has expired, which is just ADF’s way of saying it doesn’t know who the current session is because the ADF HTTP state parameters JMeter is sending to the ADF server are not what it expected. It took some trial and error to get it working, but by building it fully by hand rather than by using record/playback (which is not a good option for any type of reusable automation in my view) I learned what ADF is expecting and I now have a set for load & performance testing which I can leave with my customer without having it stuck to a particular session, base URL or user. It is fully reusable and can be run by anyone who can fill in a username and password and then hit the Save and Run buttons. The difficulty of course lays in the tail, interpreting the outcomes of the test. But that is inherent to Load and Performance testing! Within one of the LinkedIn groups (sorry, you need to be a member of the “QA Automation Architect” group to be able to read it fully) we started talking about the difference the state of project or product can make for test automation. In this post I will make a distinction between 2 states: new where no code has been written yet and existing where application code has been written, but no test automation has been implemented. So when creating a totally new product, life for the testers can be made easier by design, that at least is the thought. This does imply that testers, and not just the “manual” testers but all testers, including automation testers if these are a separate breed as some people seem to think, need to actively participate in the requirements phase of a product. With actively participating I do not mean to imply that they are normally not participating, I mean they need to look a bit further than just at what to test, is it testable etc. They should also use their insights and ideas to help both product owners and software developers to understand what are the things that might make life easier for testing this new product. When for example building a new web application, they might consider adding a simple REST api to the application, which in production can be closed off based on IP or firewall rules or something like that. A simple REST-API will make life a lot easier when creating your automated tests. Another thing to make life easy might be ensuring clear and logical naming conventions to be used for all page object in order for the automation to use the Page-Object-Model. Not only is using solid naming conventions good for automation, it also makes maintenance on the application itself easier, since all objects are identifiable by their unique ID. 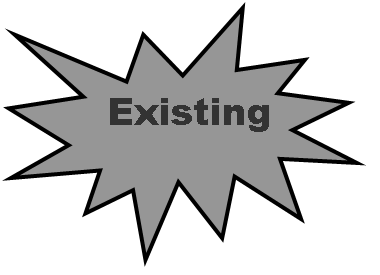 How is existing code different from non-existent, other than that one is already in production and the other has to be created? As far as test automation is concerned, especially when talking about legacy software, it may turn out to be a lot more difficult to find proper hooks into the application for solid automation other than on the labels of buttons or fields. When you have a fairly recent application it may be a website or a desktop app, both have the possibility that there are some sorts of ID’s for all objects. However when talking about true legacy software, such as 15 year old Delphi, it is quite unlikely the developers used WinForms, Win32 or SWT. Not having hooks like that into the application can result in having to scrape the UI for object labels, which is fine when testing one particular language, but if your software was localized things can get even more complicated. Getting consensus within the technology group about new software is one thing, getting a “non-functional”, non-business related change about in existing software however is a whole different thing. As long as the code is still “alive”, e.g. new features are still being added, bugs are being fixed and in general there are still developers working on the application, there is hope of getting some more “automatability” in the code. First of all, while fixing bugs old code is touched, adjusted and retested, this is always an opening to talk to the developers resolving the issue about adding a small bit of extra “sauce” to make it easier to add this particular thing to the automated testing suite to ensure chances of recurrence are minimized, of course by fixing the bug you hope to completely obliterate this particular issue but it might cause new damage elsewhere in the application. So while talking to the developer about this function, try to convince him/her that adding a bit of extra to test not only for the fix of this issue, but also to verify the surrounding features. While new features are added, this can be treated as “new code”, as long as you manage to get agreement on adding identifiers or a separate layer in these features to make test automation at least easier. If you achieve this, you are quite close to closing the majority of the gap. Refactoring is an excellent opportunity to again make minor changes in the application enabling test automation at a different level. How do you get “automatability” in your specs? One of the ways to go about it is by, in collaboration with the developers, enforcing a coding standard in which you ensure all objects receive an ID. Regardless of whether it is desktop or web based, most automation tools are looking for a hook into the UI, if there is one, and one of the nicest ways of doing that is simply by using the ID. Alternatively you can have a “layer” put right underneath the UI, ensuring you can bypass the cumbersome UI while automating your tests. One of the issues with this option however, can be that you add “hidden” code which gets forgotten easily. It also is a potential risk for the security of your application, since you basically enable a man-in-the-middle hole. If this path is taken, ensure that this “feature” does not end up being an opening for malicious code to reach your data. A relatively safe solution for this would be to put some (extra) form of authentication in the layer. There probably are more options you can investigate, the two I mention above are fairly harmless and yet can make life in test automation a lot easier and predictable. In the end, no matter which way you go, as long as you get both developers and product owners on board in working towards a higher “automatability” of the code life for you as a test engineer could become a lot more fun. It’s fairly safe to say that quite a lot of test automation efforts fail. It is also very safe to say that without test automation an agile team fails. So how can you make sure that while doing agile your test automation will not fail and thus your agile team will not fail? One of the ways to answer this question is by looking at why test automation often fails within agile environments. When I am talking about test automation within this post, I am referring to testing that is done to reduce the amount of manual regression work, the so called functional test automation or automatic regression testing. Test automation quite often does not receive the attention it needs and deserves, also in agile teams. Quite some test automation efforts start off too late and without the appropriate preparation, resulting in organic test automation driven by a moving target. The moving target is the system under test which, in agile, is constantly in flux. Each sprint new features are added, bugs are fixed and quite often it is not clear at the start of a project where it is going to end up. Writing automated scripts against such a flexible environment which will stand the test of time, is difficult. It is even more difficult when the base on which automation is done is weak. Quite often test automation runs behind on what is being delivered within an iteration, this is somewhat logical, considering that it is difficult to test, let alone automatically test what has not been built yet. Ideally while manually testing the new feature(s) as a tester, you’re already pondering how to automate it so that you do not have to do the tedious work more than once. Given enough time within your iteration, you actually might be able to automate some of the features, from what I have seen thus far, generally not all features will be covered in test automation within one iteration. So if these tests are not all automated, what happens to them in the next iteration? Are they omitted? Are they picked up and automated retrospectively? If you do not keep track of what has been automated during an iteration for both your current iteration and your previous iteration, how can you rely on your test automation? You can’t be sure what exactly it is going through, so a bug can easily get through the net of your automated tests. This moving target you are testing needs to be traced and tested solidly, repeatedly and in a trust-worthy way! In the majority of the DoD’s I have seen, one of the items is something referring to “tests automated”. The thing I have thus far not seen however, is the team adding as much value to the automation code as they do to the production code. Quite a lot of DoD’s refer to certain coding standards, however these standards often seem to not apply to functional test automation. Isn’t your functional automation code also just code? If so, why then should this not be covered in code reviews, be written according to some useful guidelines and standards and hopefully use a framework to make the code sustainable? I have seen several automation efforts going on within agile teams where test automation was done without proper thinking having been put into it. A tool was chosen, based on what exactly other than members of the team having heard of it or having had good experiences with the tool. No base or framework to keep the code clean chosen. Since you are writing code, you should follow the same rules as the rest of the software developers. Don’t think your code, since they are merely tests, should not be hooked up to some form of framework. If you want to make your tests survive a few iterations, considering reuse of your code would be logical. All of the above mentioned points are “logical” when writing an application which is supposed to go into production. However when looking at a lot of (agile) projects, these logical “best practices” seem to be totally forgotten when it comes to test automation. So, how do you succeed in your test automation? How do you make it work? The answer seems clear to me: test automation is not like writing code, it is equal to writing code. Since it is the same, treat it the same way! Do your code reviews, follow a form of a standard, use a (simple) framework to make life easier in writing tests, create reusable modules in your automation code. In other words, treat your functional test automation with the same respect as your production grade code. Who knows, you might want to run your tests against your production environment some day! In setting up your initial test automation environment and framework, don’t be shy and ask the developers in your team for tips, tricks and suggestions. They quite likely have gone through those setup steps more often than you have, so use their knowledge. Asking them for their insights and ideas not only helps you, it also helps them feel more responsible for doing their 5 pennies worth on the test automation side. They will get a clearer idea of what you intend to achieve, so they might also be more willing to help out keeping their code testable, they might even enjoy helping you write the testscripts! In this post I mention SEO and Search engine optimization several times, I am referring here to the optimization of a website for natural search, so without paying for it showing up high in the search result lists. While on holiday I spent some time talking to a local entrepeneur. He makes his money through his own website, we got to talking about his website and about the translations of his site in particular. Since this site was translated from Greek into English, French, German, Italian and Russian I had a quick hunch that his meta-keywords would not be in order for all the separate languages (which does not apply to all translations he made by the way). Please note that this is just a sub-set of what needs to be looked at when testing a site for SEO optimization. Based on the before mentioned website I will give some examples of what to look for when testing for search engine optimizations. If you look fast and are not sure what to look at this looks fine, however from a Search Engine point of view this header is a bit of a drama. The language is set to Russian in the first line, the title is in Russian, in the Cyrillic alphabet. The SEO issue however is in between the language declaration and the title: keywords and description are in English. When a Russian is trying to find a “seaside villa in Corfu” he will probably not use the English words for it, instead the keywords used will quite likely be “вилла на Корфу с видом на море“. Just for fun, here are the result pages for the two searches; the English search on Google.ru and the Russian search on Google.ru. On the Cyrillic search the first page doesn’t have any links to our test site. On the English search however, the site is the first to surface, underneath the paid links. Problem I see with that result page however is, the url we get back is the main URL rather than the Russian URL. The header of the homepage of the site is just the beginning of testing it for search engine optimization. This being a site aimed at renting out a villa with amazing views in a fairly decadent location, it is quite visually driven. As a tester you might not pay too much attention to the images, however when testing the search engine optimization, the images should be looked at as well. Within this snippet you’ll notice again an issue similar to that in the header meta-tags. The page is supposed to be in Russian, yet the title of the div is in English. The alt-tag of the image is also in English. Both of these are supposed to be in Russian in order for this page to properly be indexed by the search engines in that language. If you really want to make an effort, the image name should also be in Russian. The useage of the images themselves, on the rendered HTML page already gave an indication that SEO and translation were not well thought through or at least not fully implemented. The text on the image should of course also have been translated. When, as a tester, you see mistakes like this on a website, this should quickly give you an idea that the SEO has not been done properly, nor quite likely will the translation of the site have been done properly. Ideally you would want the text on this image to be configurable in the CMS and be attached to the language the page is in. Of course there are more things you have to look at when testing for SEO, however I will stop here for now.